Beauty is pain, they say. For beauty, a lot of people, mostly women, are willing to endure painful conditions to look as perfect as possible. Nowadays, everybody seems perfect and beautiful, from head to toe, from clothes, bags, and shoes to the perfect Korean V-shaped face, the on-point eyebrows and, last but not least, perfectly aligned white teeth and a perfect smile. This is not an uncommon thing. A perfect appearance is the new norm. Since the rise of social media, it has been easier for us to get information. Those networks make information run so fast that it might sometimes outrun facts. Misinformation could spread widely and for those who are not experts in some fields, it is possible for them to think what is actually wrong is right and vice versa. Dental health is a legit issue that can be beautifully packaged in the form of aesthetic treatment that every person would desire. Who wouldn’t want perfectly aligned teeth or a beautiful white smile, as seen by seemingly every famous person who shows off on social media? So, here comes the law: where there is demand, there is supply. 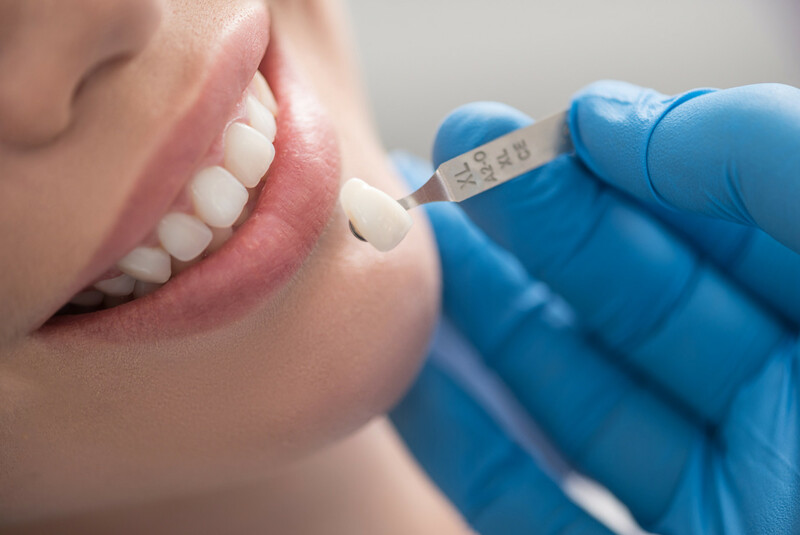 From tooth-colored composite fillings to direct or indirect veneers, treatments are now easily available online and offline. But how can we be sure that our chosen treatment is the right one, for our beauty and health, inside and out? Nowadays, dentists are often consulted by patients who have experienced discomfort or pain from particular treatments. The cause of the discomfort or pain is mostly due to improper treatment. First, we have to understand that for every diagnosis of a tooth condition, there will be choices of treatments. If a patient has caries that is only in the hard part of the tooth, the front tooth can be a little bit cracked, a small part of it can turn darker in color and pain may be felt the second a patient eats something cold – and so the dentist might provide a tooth-colored composite filling. But, if the caries is so severe that it extends to the pulp, more than half of the tooth can already be “eaten”, causing the whole tooth to turn greyish, and the patient may feel severe pain even when they do not eat at all. In this case, the dentist might offer a root canal treatment first to clean all the bacteria from the pulp to the apex of the root, before restoring the tooth’s aesthetic condition with a crown. If the front teeth are a little bit misaligned, the dentist might offer a veneer treatment, if it is possible. But, if the misalignment is too severe, the dentist might choose to offer the patient an orthodontic treatment. There are different options for treatments depending on the condition. Even a minor difference in the tooth condition can lead to a completely different treatment. But one thing remains the same: Whatever the case, the dentist will think not only about aesthetics, but also health. They will always consider maintaining or restoring the condition of a tooth so it can function properly to support a healthy body and mind. Based on the Health Ministry’s 2018 Basic Health Survey (Riskesdas), from 57.6 percent of oral health cases in the country, only 10.2 percent of them resulted in professional dental treatment. Hence, it is important that, when choosing a treatment to be beautiful, it is also our own responsibility to think about health. Proper independent research before going to see a dentist is important. However, meeting a dentist and having a proper consultation with them to avoid misinformation from the vast world of social media won’t hurt, for they have the knowledge and the capability as they had to undergo years of education. 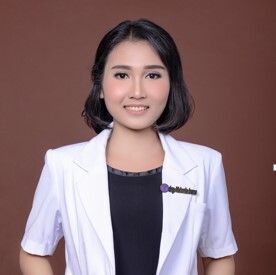 One point not to be missed is to make sure that we choose a certified and competent dentist by looking them up online (https://sertifikasi.pdgi.or.id/cek-dokter-gigi). The online world and social media have their two sides – to make our quality of life better, or the other way around. Between meticulously looking over accurate information and believing any information that presents itself without careful consideration, it really depends on ourselves. We have the power to choose. Beauty is pain, they say. But wouldn’t it be nice if, after we endure all the pain, it is not only beauty that we get, but also health? It is not only about looking good on the outside, but also about feeling good inside. It is not only about living within a beautiful body, but also with a beautiful mind. Valonia Irene is a dentist who enjoys traveling, art, literature and writing her blog, “My Branded Unbranded”. She is currently practicing dentistry in primary health care for underdeveloped and post-earthquake areas in North Lombok, West Nusa Tenggara.